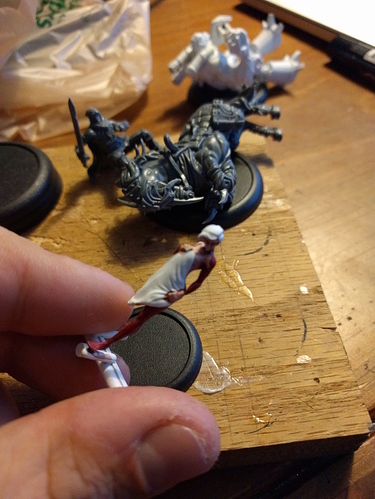 Working on a Doppelganger, and I have a Hooded Rider next in line. 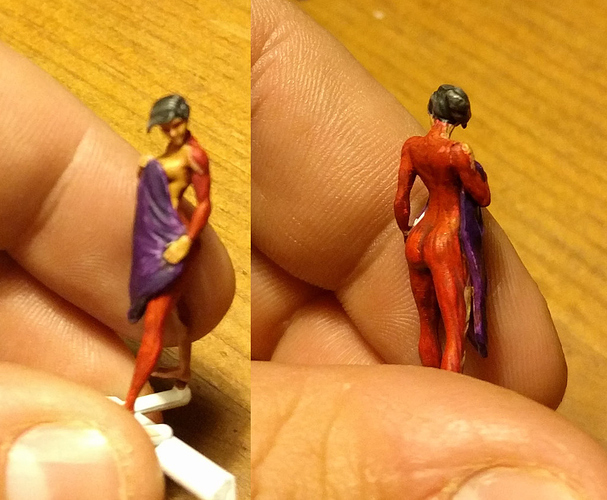 My process for getting everything painted before it hits the table to is paint it off-base (also helps getting into the weirder angles), so I can't use a model until it's done. I'm also sculpting all the bases for my Neverborn, so it's easier to do the model and the base separately. I'll bump this topic when I get more paint on there (probably tonight, but at this point there's no way this guy will be seeing play tomorrow). Got the rest of the paint on - looks alright. 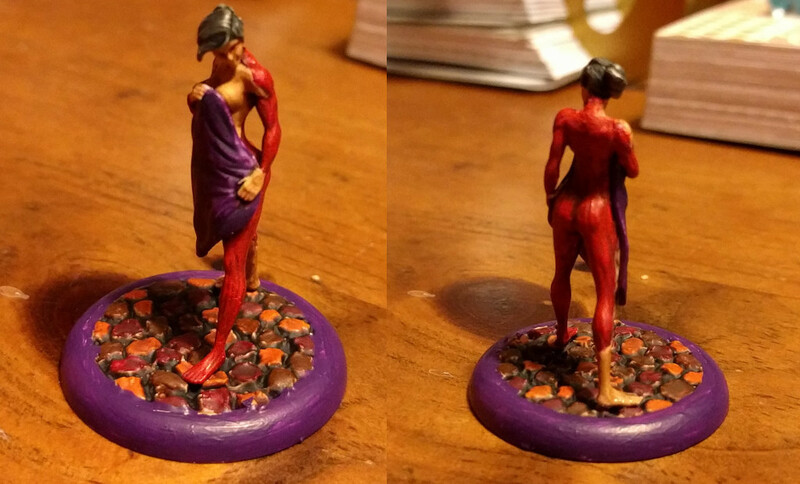 Probably going to do a few touch-ups and highlights, but the big thing remaining is sculpting/painting the base. it looks very titan-esk. which is awesome. Got to sculpting the base tonight - this one's all cobblestone because I tend to give the more unique models the nicer-looking bases. Sculpting cobble is pretty easy, just time consuming (this one took about a half hour, but a 50mm takes considerably longer). All that's left is to paint the base (mostly washes, honestly) and do a last round of highlights/touchups on the doppelganger and she should be making her debut next Monday. First, some color on the stones, then two washes of Devlin Mud (I've still got a pot of it!) and Nuln Oil. Some finishing touches and the cobblestone base is good to go. Look out for her on the table tomorrow night - in addition to mimicking (1) actions from nearby models, just having her on the table lets me cheat the Initiative flip - a little heavy on resources, but priceless in a pinch. Thanks for reading along, look forward to seeing what everyone else is painting!